Sbarro LLC, a leading global fast-food chain, which operates more than 600 restaurants across 26 countries, announces the appointment of Horeca Band Group Ltd., its new exclusive partner in the Russian Federation, Republic of Kazakhstan and Republic of Azerbaijan. Sbarro has been operating in Russia since 1997 and is the most famous brand in the pizza segment. At present, there are 21 Sbarro restaurants in Russia and one in Azerbaijan. 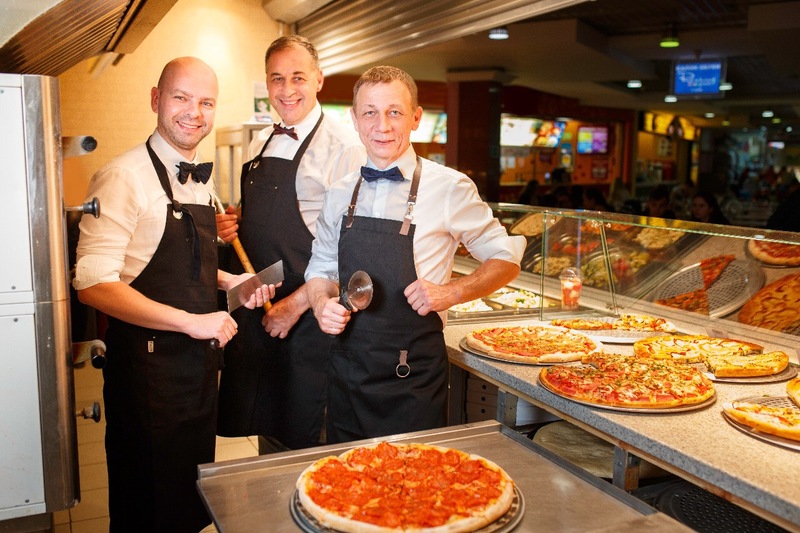 The Horeca Band Group plans to open at least two additional Sbarro restaurants before the end of the year and at least 300 restaurants in the next 10 years. Horeca Band Group, LTD. Pictured (L-R) Ilya Skorohodov, Vitaliy Podolskiy, Alexander Volkov.